This newly released game from the Time Mysteries series is one of those games that remind you why you enjoy the hidden object puzzle adventure game genre. 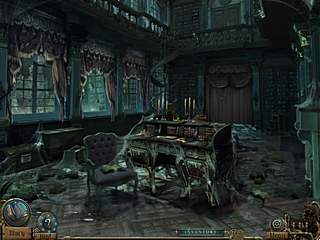 Time Mysteries:The Ancient Spectres has it all to make it a great way to spend a few hours in somebody else's story. The story-telling part is presented in a very nice way. The game takes you a few centuries back in time to tell you a story of a woman haunted by dreams about a mansion and a family living in it. Soon she gets a letter from her aunt telling her about the family she never knew. That family is exactly the same people she saw in her dreams. So now she sets out to the mansion where they ysed to live. It doesn't take her too long to find out that there's much she has to deal with. There's an evil witch behind the misery of Esther's just found family. This is the background of the journey you undertake. The story-telling part is presented in a very nice way. All of the characters would talk to you and their lines are all voiced-over. Apart from the voices of the characters you also get to enjoy the beautifully drawn graphics. The puzzles and tasks you are to try and complete are no disappointment either. You will explore many locations trying to find and use the inventory found there. There are also many hidden object levels to go through. The hint system works for both kinds of levels. One interesting feature of the game is that you don't play other kinds of puzzles as mini-games along the game only. 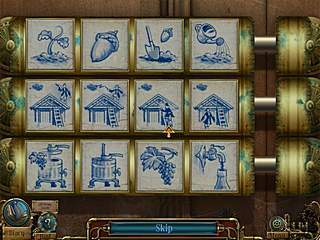 If you don't feel like solving a hidden object level, you can find some or all of the items on the list by playing a match-three game bursting clusters of three or more items. Time Mysteries:The Ancient Spectres has it all to make it a great way to spend a few hours in somebody else's story. This is Time Mysteries:The Ancient Spectres review. Download this game here.